A draped. 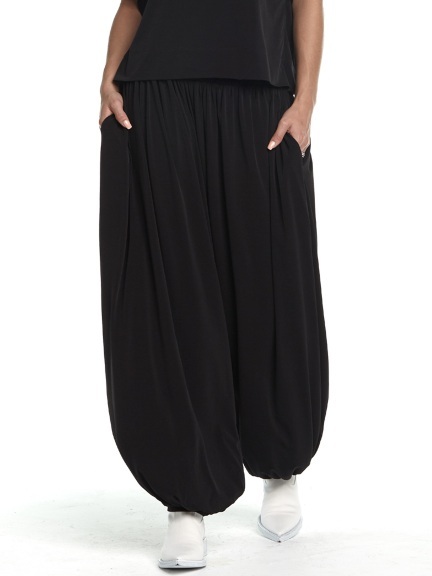 matte jersey genie pant features a stretchy elasticized waistband, gathered hems and fun, fluid silhouette. Made in the U.S.A.